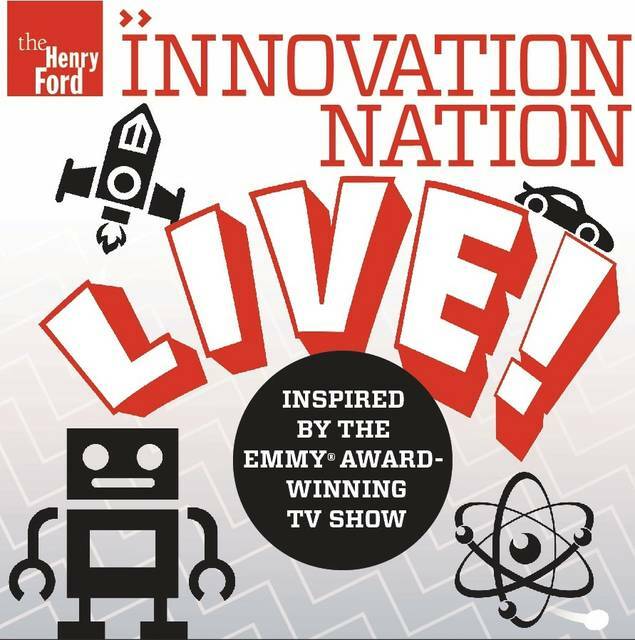 A brand-new, live stage version of the two-time Emmy Award-winning Saturday morning CBS television show, The Henry Ford’s INNOVATION NATION LIVE! will inspire audiences with entertaining and educational stories about yesterday and today’s visionaries and innovators, highlighting major turning points in the past and present that influenced the fields of science, technology, engineering, math, the environment, and social justice. CAPA presents The Henry Ford’s INNOVATION NATION LIVE! at the Davidson Theatre (77 S. High St.) on Sunday, October 14, at 2 pm and 6 pm. Tickets are $25-$45 at the CAPA Ticket Center (39 E. State St.), all Ticketmaster outlets, and www.ticketmaster.com. To purchase tickets by phone, please call (614) 469-0939 or (800) 745-3000. “The Henry Ford’s Innovation Nation” is a weekly Saturday morning show on CBS that showcases present-day change-makers from all over the world who are creating solutions to real needs. It is hosted by news correspondent and “CBS Sunday Morning” regular Mo Rocca. With more than 70 million annual viewers, each episode presents stories related to the process of innovation and also includes one story from the collections of The Henry Ford Museum of American Innovation™, its unique visitor experiences, and its unparalleled expertise. “The Henry Ford’s Innovation Nation” is produced in partnership by The Henry Ford and Litton Entertainment. The Griffin Theatre Company touring production will bring to life the world-changing innovations featured in the television show and preserved in the museum’s archives. Aram Sinnreich does not work for, consult, own shares in or receive funding from any company or organization that would benefit from this article, and has disclosed no relevant affiliations beyond their academic appointment. Fifty years ago – in September 1968 – the legendary rock band Led Zeppelin first performed together, kicking off a Scandinavian tour billed as the New Yardbirds. So how did the band pull it off, when so many of its contemporaries have been forgotten or diminished? How did it find and keep the holy grail? What makes Led Zeppelin so special?